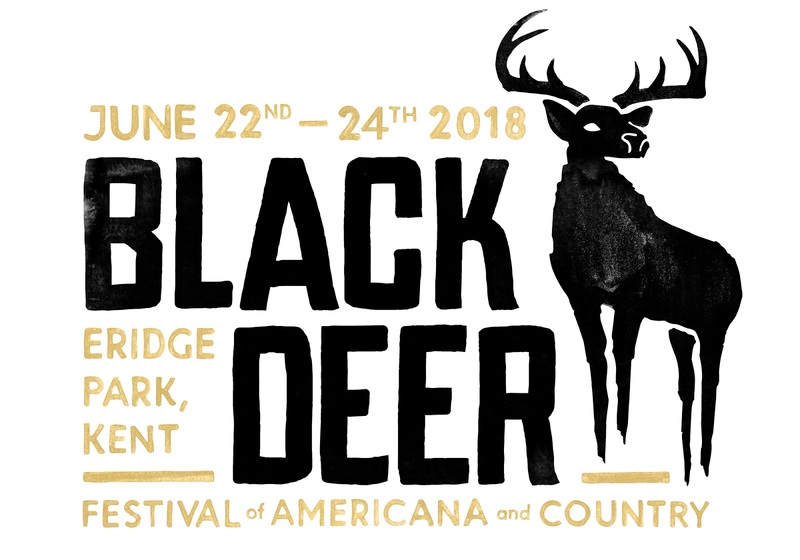 BLACK DEER FESTIVAL’S FULL LINE UP ANNOUNCED! Already boasting a remarkable lineup featuring the very best Americana & Country acts from around the world, Black Deer Festival is delighted to reveal that Catherine McGrath, Wallis Bird, Colin Macleod, Josh OKeefe, Jeannine Barry, Keywest, Marc O’Reilly, Dan Clews, Thomas Wynn & The Believers, Cattle & Cane, Carousel and more will join the likes of headliners Iron & Wine and Passenger, as well as Ward Thomas, double Grammy and AMA UK award winner Jason Isbell and the 400 Unit, Kiefer Sutherland, Ashley Campbell and many more stunning names for the festival’s inaugural year. Black Deer Festival is a totally independent festival headed up by two women Promoters with years of experience in the festival industry and is set to take place in the wondrous natural outdoor location of Eridge Park, Britain’s oldest deer park located on the Kent/East Sussex border near Royal Tunbridge Wells – just a mere 50 minutes outside of London. In an exuberant showcase of Americana, blues, roots, authentic country, folk and bluegrass genres, Black Deer Festival will immerse attendees in the alternative lifestyle with authentic Americana-style meats, smokey whiskeys, bespoke custom motorcycle showcases and rooted storytellings from cultural pioneers, cementing itself as the UK’s newest favourite Americana & country festival and one not to be missed. With a foot on either side of the Atlantic, Irish pop country newcomer Catherine McGrath will be joining Black Deer’s exciting line-up on her way to taking the world by storm. Her debut EP One was a major success taking inspiration from Taylor Swift, Rascal Flatts and Kelsea Ballerini amongst other. The twenty-year-old has already made her mark in the industry, going from singing covers in her bedroom to writing with some of Nashville’s finest. With her much anticipated debut album set to drop on July 27th, she figures on all lists of artists to watch in 2018. Colin Macleod will be bringing a taste of life on a British island to Eridge Park. Growing up on the Isle of Lewis, MacLeod alongside super-producer Ethan Johns, make music that does not let you forget where he comes from. The result is very reminiscent of what Bruce Springsteen would have sounded like if he had grown up in the fringes of Scotland. His atmospheric melodies and powerful instrumentals are sure to dazzle at Black Deer. Waving the flag for folk rock in this new announcement is Dan Clews. The British singer songwriter was noticed by Sir George Martin who dubbed him “too great a talent to be ignored”, a fact that surprised no one after the release of his first solo album full of Beatlesque melodies, acoustic guitars and lyrics about love and longing. It received support from Radio 2’s country tastemaker Bob Harris as well as favorable reviews from the music press. 2014 saw he Kent-born singer support his second album on as Glastonbury stage cementing his place in the industry. The underdogs and underappreciated American band Thomas Wynn & The Believers will be bringing their own brand of classic rock to Eridge Park this year. The 6 piece band from Orlando will be performing their new album Wade Waist Deep, a true depiction of what great American music sounds like. Lead singer Thomas and sister Olivia Wynn will showcase their trademark breathtaking duets, accompanied by grinding guitars and lyrics boasting hope for a better life, bringing their perfectly unpolished sound to Black Deer. Also joining the Black Deer festival is the critically acclaimed English group Cattle & Cane. The band that likes to keep it in the family is comprised of four Hammill siblings Joseph and Helen on vocals, Fran on guitar and Vim on Bass, as well as honorary family member Tom Chapman on drums. They will be bringing their fresh and exciting take on modern folk music. Only two albums in and this family affair already has had an impressive musical career having played at T in the Park, Hyde Park for Radio 2, for whom they recorder a live session, and shared stages with the likes of Brian Wilson, The Head & The Heart as well as Tom Odell. Bringing a mix of folk and country with a healthy dose of 60’s psychedelia is the critically acclaimed singer songwriter Jamie Freeman. Hailed as the “UK’s very own Americana virtuoso” by Spiral Earth, Freeman will be delivering his roots-rock anthems to the eagerly awaiting Black Deer crowd. Catherine McGrath, Wallis Bird, Colin Macleod, Josh OKeefe, Keywest, The Graveltones, Dan Clews, Thomas Wynn & The Believers, Jeannine Barry, Marc O’Reilly, Treetop Flyers, The Adelaides, Cattle & Cane, Bad Day Blues Band, Dana Immanuel And The Stolen Band, Johnny Cage And The Voodoogroove, Michael Baker, Up, Down, Go Machine, Carousel, Jamie Freeman, My Fine Companions, Devil’s Rope and The Orange Circus Band.